I am often asked if a dog should play tug. Some people are concerned that their dog will become aggressive by playing tug with a person. This is not the case if you play by a few simple rules. A noted study by Dr. Rooney and Dr. Bradshaw confirms this. Tug games with no rules can easily cause your dog to become too aroused and not in control of himself. Played right, tugging is a fun and cooperative game to play with your dog that can increase your dog’s self-control. Safety first. 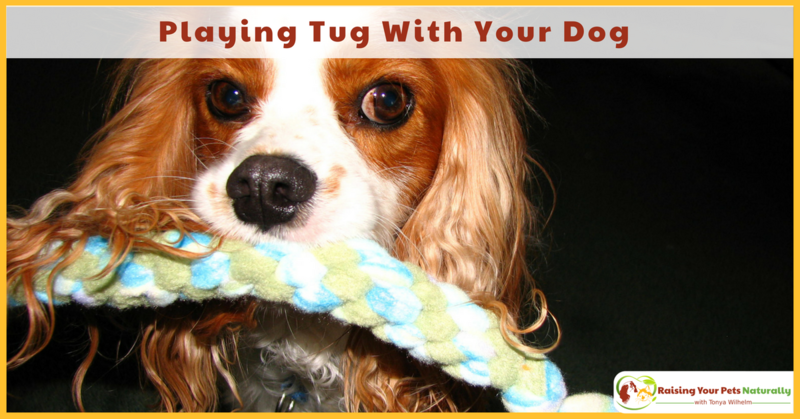 You will want to ensure that your dog is physically able to play the game of tug. According to one dog chiropractic, if your dog has arthritis or problems with his neck, disc, or spine, this tugging should be avoided. 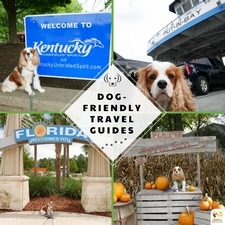 You will also want your dog to take the lead in tugging and not to get too carried away. The right kind of tug toy. Long and soft! When playing tug with your dog, you want to make sure both of you get a good grip to help avoid those dog teeth landing on your delicate skin. I prefer soft fleece tug toys. These are much softer than rope, and if your dog plays with it himself, he won’t bonk his head with a hard rope or rubber attachment. Fleece dog tugs are also easy to wash and re-tie. Here is how to make a fleece tug toy! Some dog tug rules to play by. Teach your dog a good “drop it.” Only play with specific tug toys (your dog’s ball is not a tug toy). Teach a “get it” and do not allow your dog to jump and grab the tug toy unless you give permission. You and your clothing are not part of the tug game. 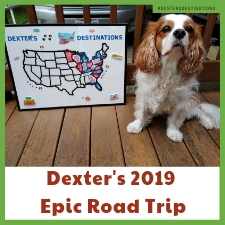 Your dog IS ALLOWED TO, and I encourage you to, let him WIN the game! 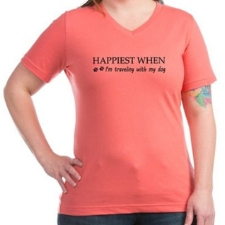 What a great confidence boost for dog’s lacking self-esteem. How to play tug with your dog. Playing hard to get is usually one of the best ways to encourage your dog’s interest in something. Start inside your house without any distractions. 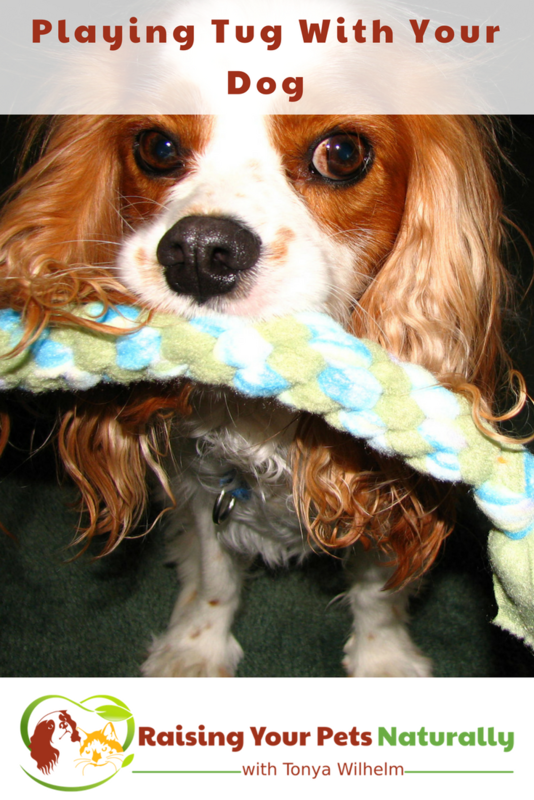 Tell your dog, “get it” as you take the dog tug rope and drag it on the floor in a strange and exciting pattern. If your dog shows any interest, tell him how smart he is and keep encouraging him. 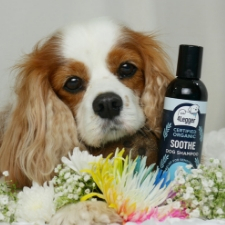 You will want your dog to get a grip and feel confident in that before putting any resistance on it. 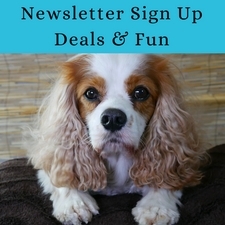 If this step is challenging for your dog, you can reward each attempt with a food treat. After your dog builds confidence in grabbing the toy (this may take weeks for some dogs who are unsure about play), start to add resistance by holding the tug still, so your dog has to pull the tug. Again, encourage your dog for this pulling so he knows it’s okay and fun. Build this sequence until your dog is readily and happily grabbing the tug toy (after you say, “get it”). Once you have built your dog’s confidence in grabbing and tugging the toy, throw in your drop it cue and reward for dropping. For a refresher in “drop it,” you can put a smelly dog treat by your dog’s nose, or bring the tug in close to your body and hold tight until he drops. “Get It” gives your dog permission to grab at the dog tug. If he goes to grab before you give his cue, quickly bring the tug toy up to your chest and wait for your dog to stop grabbing and jumping. When he stops, try again. Don’t forget to teach a good drop. If your dog usually drops, but not in the game, lower the tugging energy by asking for a drop sooner rather than waiting until he’s really into the game. You can also add food to boost the speed of the drop in the beginning. Over-Arousal issues. If you are not able to get your dog to do his basic behaviors like sit and drop, then the game is too stimulating. Slow it down, and don’t play as long. You’re NOT the toy. Any dog teeth on your skin or clothing abruptly ends the game. Stop immediately and bring that tug to your chest. As soon as your dog stops, play again. I usually give a dog 3 times in a session to get it before calling it quits for the session. Vocalization. Some dogs are very vocal, particularly in tug. If your dog is vocal during tug, that is ok. But re-read the over-arousal tip. As long as that is good, no worries. If the vocalization changes (gets louder, or more intense), I slow the game down a bit. Guarding. If your dog has issues with resource guarding (not wanting you to take prized items), please speak with a qualified dog behavior counselor first. All done. When you are done playing, tell your dog, “all done” so he knows you are finished. Feel free to allow him to keep his prize, or put it away if you are trying to keep tug very motivating. If you’re putting the toy away, please give your dog a stuffed Kong or similar to chew on. End on a high note. If your dog is unsure how to play, I love Play Together, Stay Together by Dr. Patricia McConnell. And Play With Your Dog by Pat Miller is another good one. 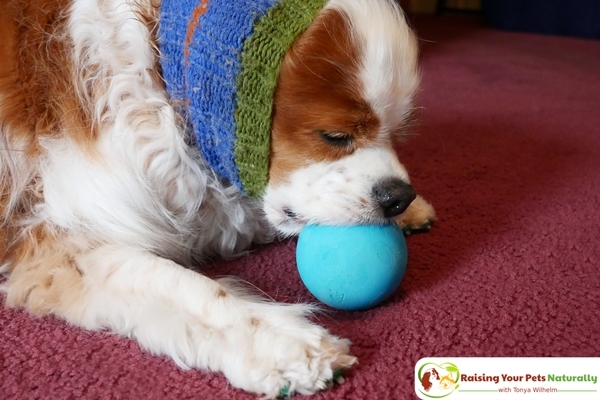 Learn how to make your own fleece dog tug toy here. What is your dog or cat’s favorite game to play? Tell me in the comments.